WIP Wednesday: Choose Your Own Adventure! Socks are starting to take over my brain and I’m getting all wooly headed at the thought of starting Sock Madness on Saturday! This is the sock knitting competition on Ravelry in the Sock Madness Forever group, and it runs through to May with a new sock pattern released every couple of weeks for competitors to try and complete. A couple of “warm up” patterns were released, and I’ve been very grateful for a practice run, having only made humble vanilla socks so far. I got my lovely red Stroop Stroop socks completed, and last Saturday I started making these wonderous things- the Choose Your Own Adventure socks by Melina Martin Gingras. 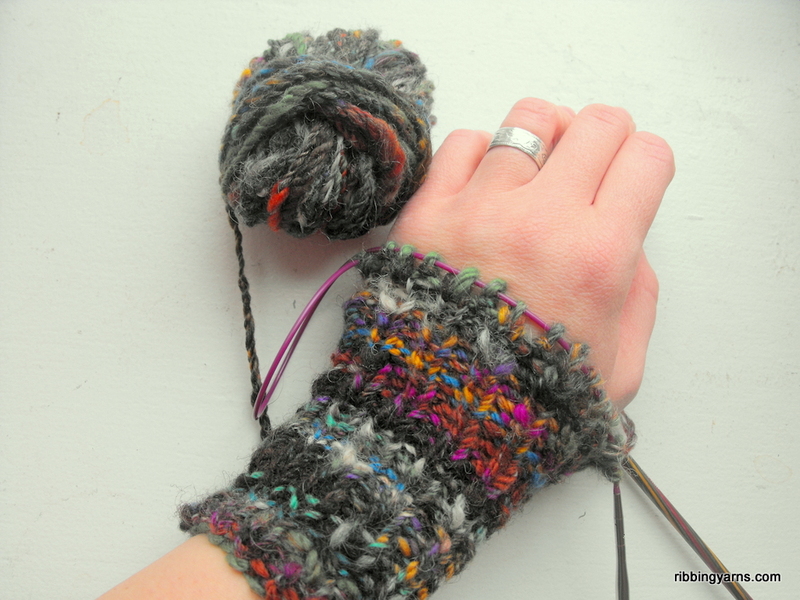 Aside from socks, I started making some wrist warmers from the fibre sandwich game yarn that I spun. Our flat is kind of cold these days, and I tend to get a bit chilly on my wrists and hands, so I think these will be the perfect solution! The yarn is a bit tough to knit with with all the knobbly bits and lanolin in there, but every time I look at it I remember who contributed which fibre, where it came from, and what a laugh we had putting it together! 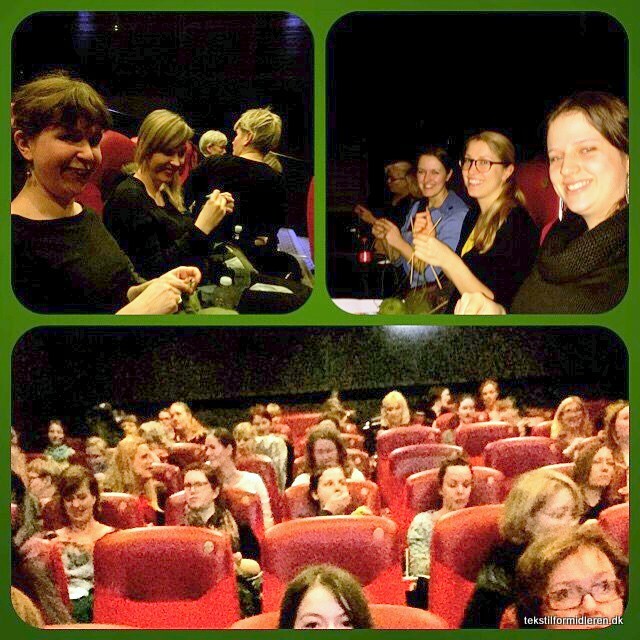 Speaking of crafty get togethers, on Monday some us from Copenhagen Yarn Lovers met up for another fabulous Strikke Bio (knit in the cinema event) organised by Rock n Roll HausFrau. 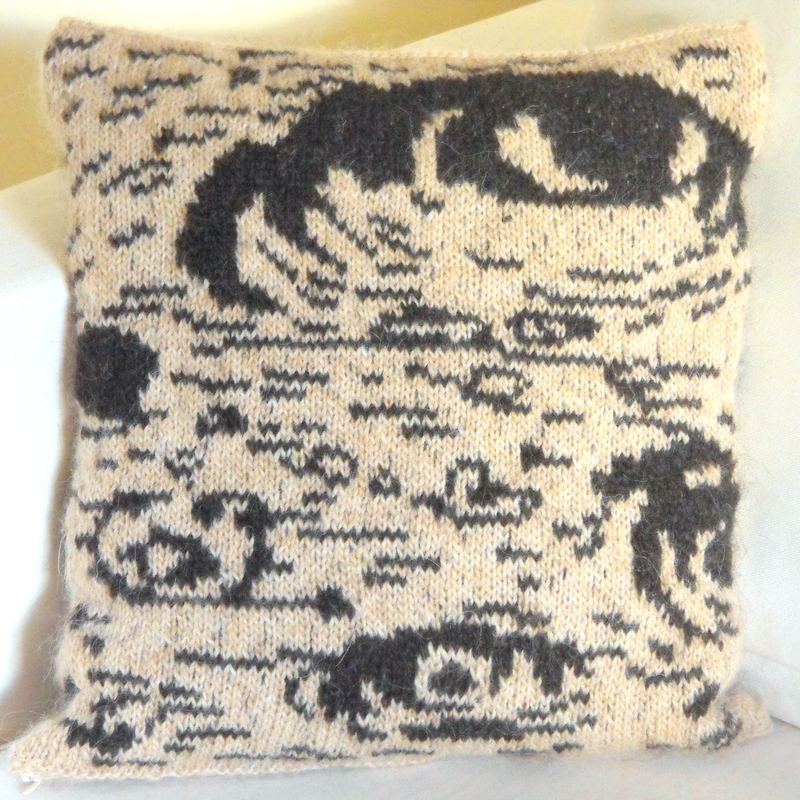 The film this time was The Theory of Everything, and the cinema was full of knitters and their projects! Luckily my fellow yarn lover Majbritt (whose knitting blog you can find on tekstilformidleren.dk ) let me borrow her phone for a few photos, so you can get a sense of the atmosphere! What do you have on the needles this week? Anything exciting or is it same old same old? Share in the comments thread! 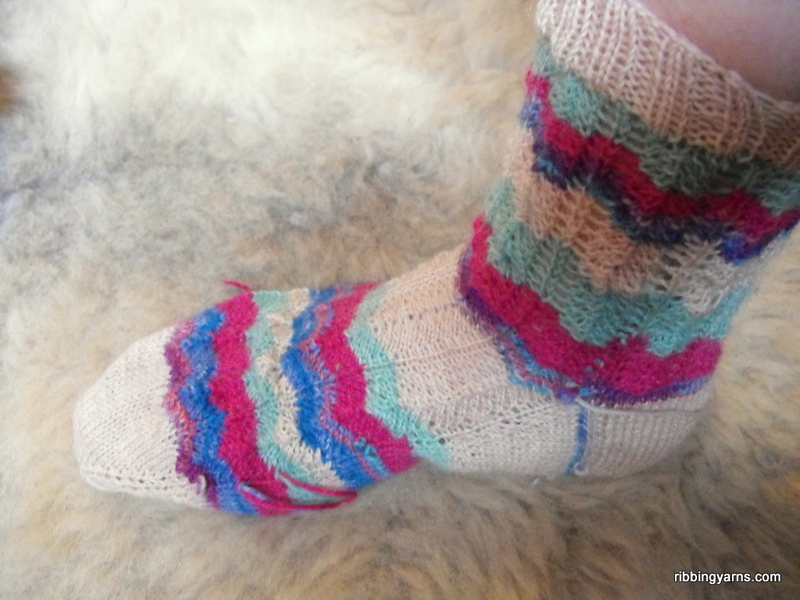 This entry was posted in Events, WIP Wednesday and tagged Choose Your Own Adventure Socks, Craft, Fibre Sandwich Game, Handspun Yarn, Håndarbejde, København, Knitting, Knitting Cinema, SM9, Sock madness, Strik, Wristwarmers. Bookmark the permalink.